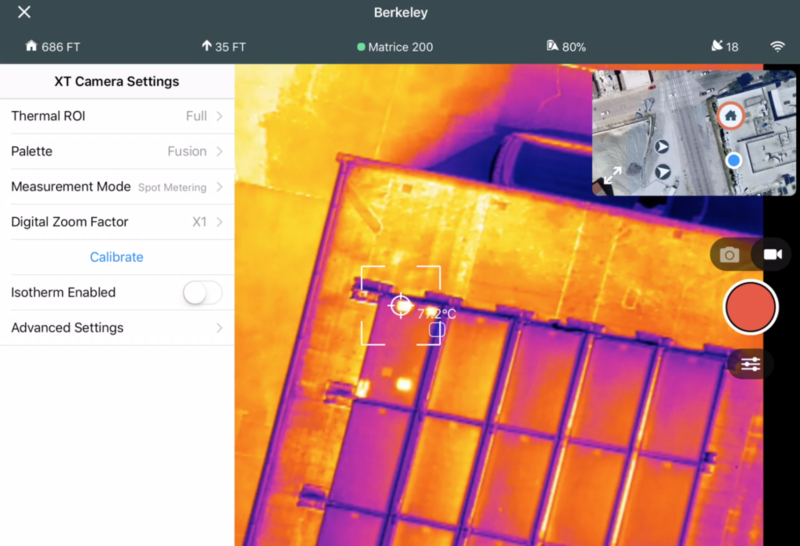 If you fly any of the DJI M200 series drones—the M200, M210, or M210 RTK—then we’ve got good news: the Zenmuse XT thermal camera, powered by FLIR, is now fully compatible with Site Scan’s inspection mode. 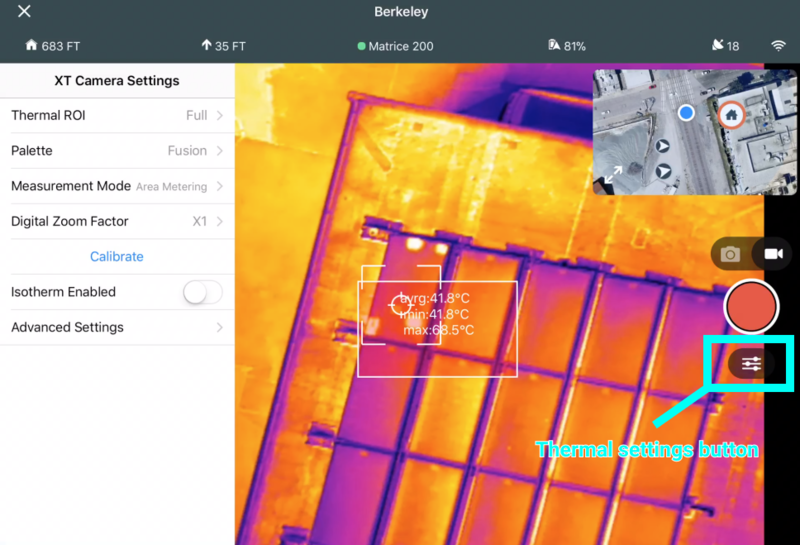 Now, you can perform thermal flights for a variety of use cases, such as understanding flooding impact, heat loss, concrete curing, solar panel productivity, or inspecting critical infrastructure such as power lines, bridges, and more. All thermal settings and tools can be accessed by tapping the settings button below the circle take photo button while flying an inspection. The three most common palettes are white hot, black hot, and fusion. Palettes are used to visualize temperature during the flight. The photos captured will be white is hot. The Zenmuse XT-Radiometric can measure the temperature for any position in an image with an accuracy of ±10 ̊C. When environmental conditions are ideal, the camera provides an accuracy of ±5 ̊C. The Zenmuse XT-Performance can also measure the average temperature of the 4×4 pixels in the center of an image with an accuracy of ±20 ̊C in High Gain mode, and an accuracy of 20% of the entire temperature range or 20 ̊C (whichever is greater) in Low Gain mode. Enabling this function will display the average temperature, lowest temperature, the highest temperature and the corresponding locations of each area. Full-screen view also supported. Reflectivity of objects – shiny metals with high reflectivity will reflect more of the background radiation, and result in a larger error; objects with matte surfaces will produce a higher accuracy. Temperature of background radiation – a sunny day without clouds will have less of an effect on the accuracy than a cloudy day. Air temperature and humidity – the higher the temperature and humidity, the lower the accuracy. Distance between camera and object – the shorter the distance, the higher the accuracy. Emissivity of objects – the higher the emissivity, the higher the accuracy. 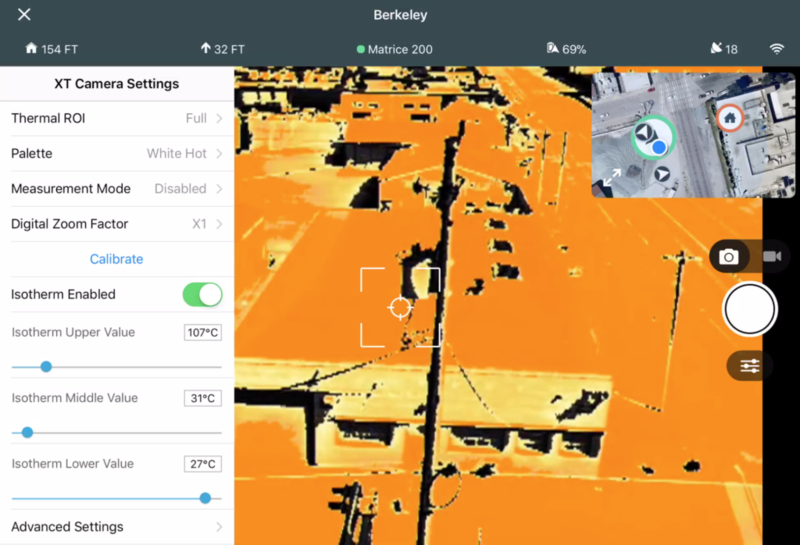 Enabling Isotherm allows designated temperature ranges to be represented with different color schemes, so that objects measured in a single color scheme impart higher contrast and better visibility. Individual isotherms (or color schemes) are separated by upper, middle and lower thresholds, which have a value in percentage or temperature. Take the White Hot Isotherm as an example. 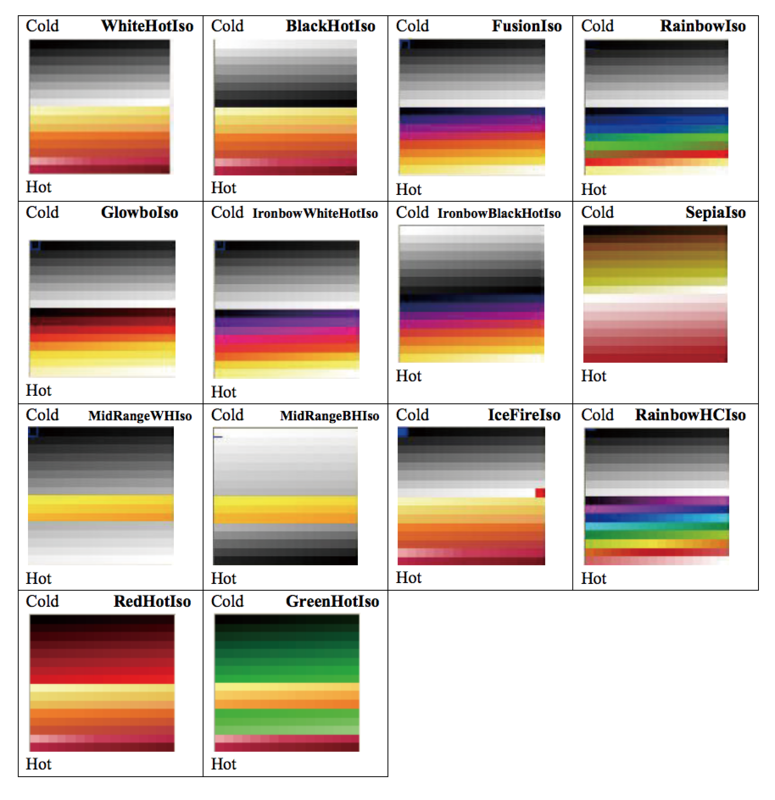 Below the lower threshold, 128-Grayscale is used to represent temperature differences. Between the lower and middle thresholds, Color Scheme 1 (48-Isotherm) is used. Between the middle and upper thresholds, Color Scheme 2 (48-Isotherm) is used. Above the upper threshold, Color Scheme 3 (32-Isotherm) is used.